There’s not a lot going on at the state government level as far as OSHA training requirements are concerned. Pennsylvania is not in that group of 7 states that require OSHA-Accepted safety training, nor are they in the group of about 2 dozen states who have filed their own state plan with the U.S. Department of Labor. 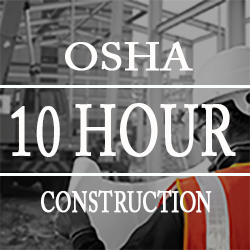 All that having been said, because of the industrial emphasis in Pennsylvania, as well as the high incentive that companies have to hold workers compensation claims to a minimum, many employers mandate at least the OSHA 10-hour training program. If you’re looking for a job right now, an OSHA 10 program, which you can take online (click the button below) is a modest investment to make sure you are ready for whatever requirements your employer might have, or merely to tip the balance in your favor. If you’re an employer, then having a workforce well versed in safety procedures might help you on the workers compensation front as well. And since Pennsylvania does participate in OSHA’s consultation program (that’s the program where you can have experts visit you, look for compliance issues, and make recommendations before you get cited), having some trained workers would be a great idea for putting your safety house in order. The 10 Hour Construction Training will prepare you to start immediately on public work projects in Pennsylvania or any construction job in all 50 states. Upon completion of our online courses, you will be able to print a temporary certificate of completion. You will receive the Department of Labor OSHA Wallet Card in approximately two weeks. 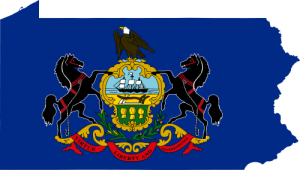 Looking for Pennsylvania Offices in STATE? Check out our Pennsylvania OSHA resources page.